As I explore more of the Ozarks, I’m learning to combine intuition with investigation when it comes to figuring out the history of a valley or a mountain ridge. 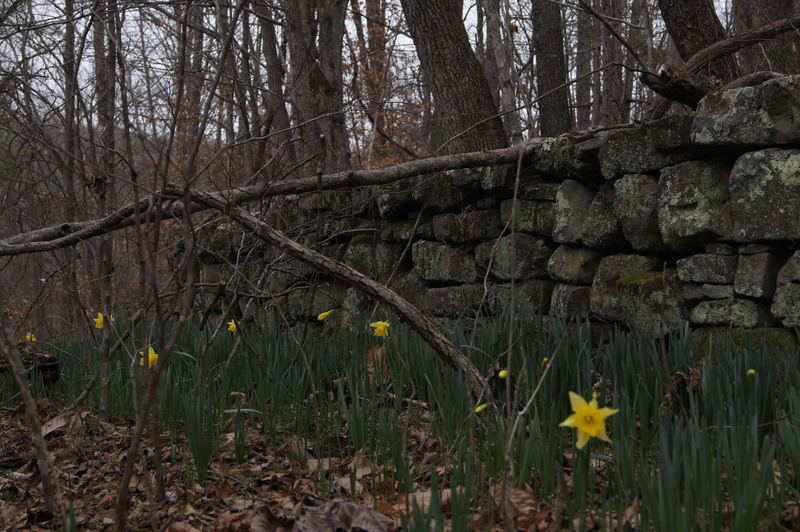 I’m beginning to recognize the plants that often signal the site of a vanished homestead in the woods –daffodils and cedars, forsythias and an ancient fruit tree or two. Looking closer, I find more evidence: rock piles only seem random; they may actually be collapsed chimneys and walls. 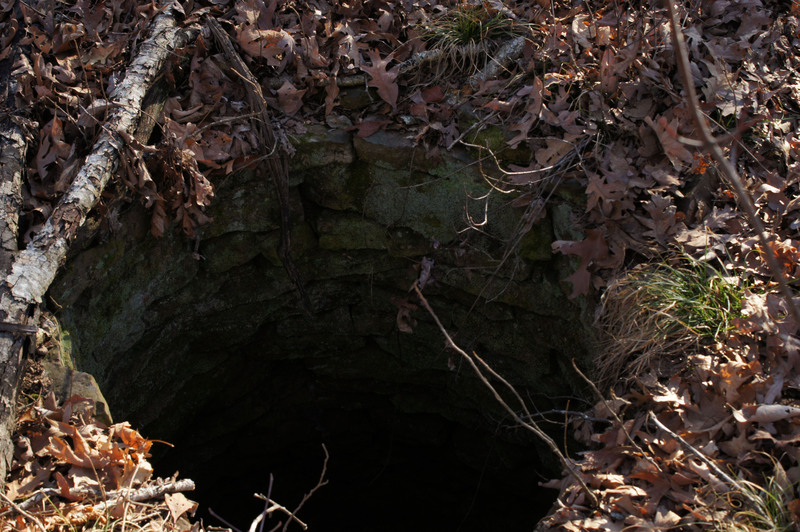 An elongated crater was probably a root cellar. A rock wall seems to snake out of nowhere. 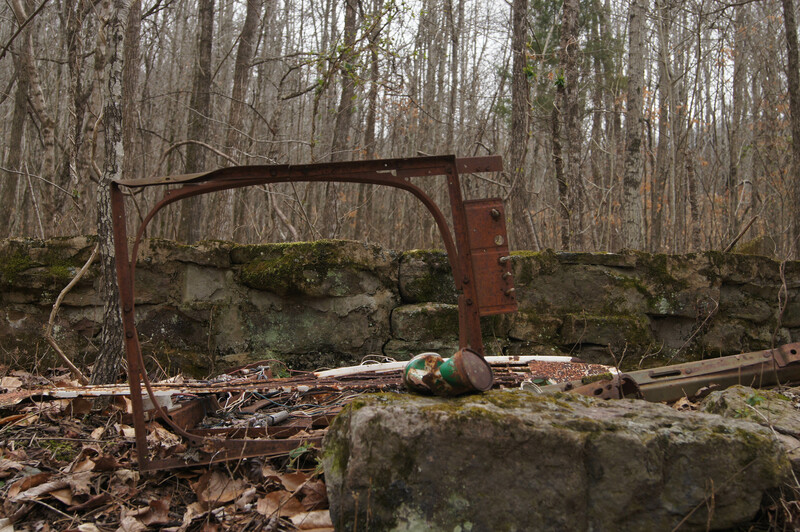 Every once in a while I find a rusty bucket or even a car half buried in leaves and soil. I stand by the rock pile and look around and imagine where the homesteaders put their front porch and their barn and their garden. How did they make their place a home? Were they happy? How hard was it to make a living on this poor, rocky soil? Was the wife worn out before her time from childbearing and work? Some old homeplace sites feel difficult. Spending a little time there, I get the sense that the family who lived there had a hard time making ends meet and had no time for happiness. Others seem dead–the house and the people are gone and have covered their tracks. A couple of weeks ago, exhausted from a long, strenuous hike around Sneeds Creek, I went for an easier exploration and hiked an old road trace near Fallsville. The trail followed a ridge for a few miles and disappeared among cedar trees and a square rock foundation near the end of the ridge. Before the drop off stood an old chimney. The top was gone and trees had fallen on it, but the masonry was still impressive. 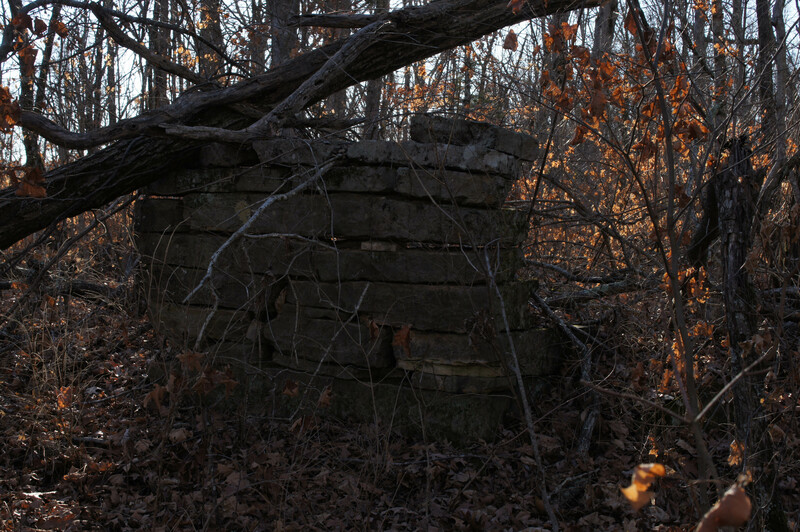 There were traces of a root cellar and part of a stone well cover. 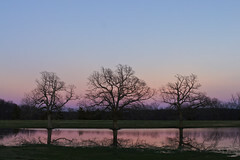 And then, a hundred feet away from the site of the main house: a beautifully constructed well, big and round and deep. I cannot imagine how much work must have gone into drilling through rock from the mountaintop to reach water, and then into building the well shaft. This was an old place with a good feel to it–a homestead at the end of the road and the end of the mountain, with a view almost down to the Buffalo River, a constant breeze, and enough level land to have some cattle and let kids run around. I hope that a happy family lived up there, with parents who loved their place and made sure it was built to last. It didn’t, but that well is as clear a reminder that its builder meant to stay as the cedars and the tiny daffodil leaves that were peeking out from under the brown oak leaves on the ground on this warm January afternoon. And suddenly, a bullfrog honked from deep down in the well. It sounded plaintive, but it had a solid, sturdy home. Absolutely fabulous blog. Now this seems like the beginning of a book, Billie…hate to get you in more trouble! Love, Susan. Sabine, Thank you for this post! A huge reason why I love Ozark culture!